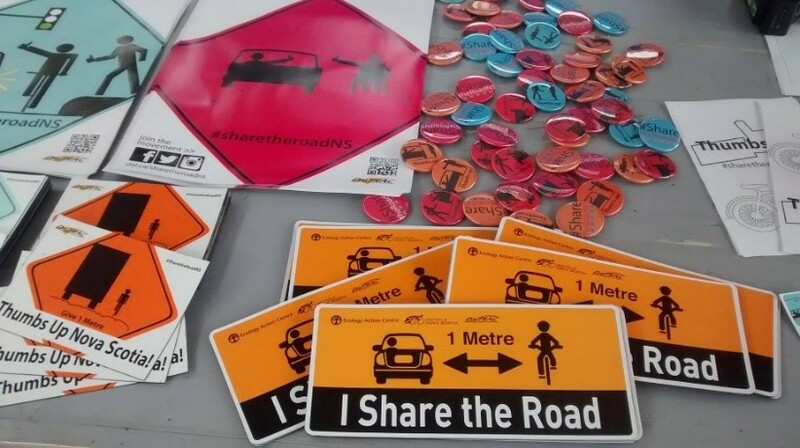 The Share the Road campaign has grown substantially in size and outreach over the last year. The campaign has successfully involved itself in multiple events and promotions, including community events that aligned with our core values, as well as holding its own independent events to raise awareness and gain support. DalTRAC, in partnership with the Halifax Regional Municipalities Crosswalk Safety Advisory Committee, hosted the first Crosswalk Safety Information Café in March.In July, Share the Road Nova Scotia, along with hundreds of cyclists, attended the kick off to the Heartland Tour event in Halifax. 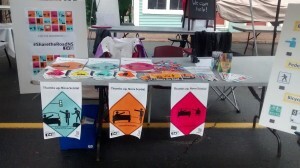 The Share the Road campaign also traveled to Bridgwater to participate in the seventh annual Growing Green Festival street fair, where our team engaged with the community about road sharing issues and distributed promotional material. SWITCH Open Street Sunday’s, which took place on Agricola Street, was the last summer event for the DalTRAC Share the Road team this year. Share the Road has recently gained partnerships with multiple municipalities in Nova Scotia, including Pictou County, District of Shelburne, Town of Berwick, Town of Bridgewater, Town of Westville, Town of Port Hawkesbury, and Town of Lunenburg. 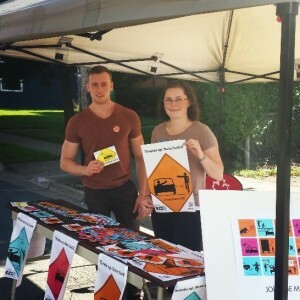 The campaign has also developed a series of non-traditional partnerships with organizations across Halifax Regional Municipality, including Halifax Public Libraries, Bicycle Nova Scotia’s Women on Wheels program, SuperNOVA camps, and Sportwheels Sport Excellence, furthering the exposure of the campaign. 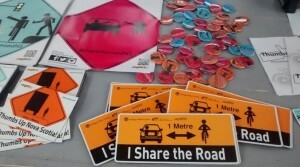 Some of the Share the Road materials available through DalTRAC. 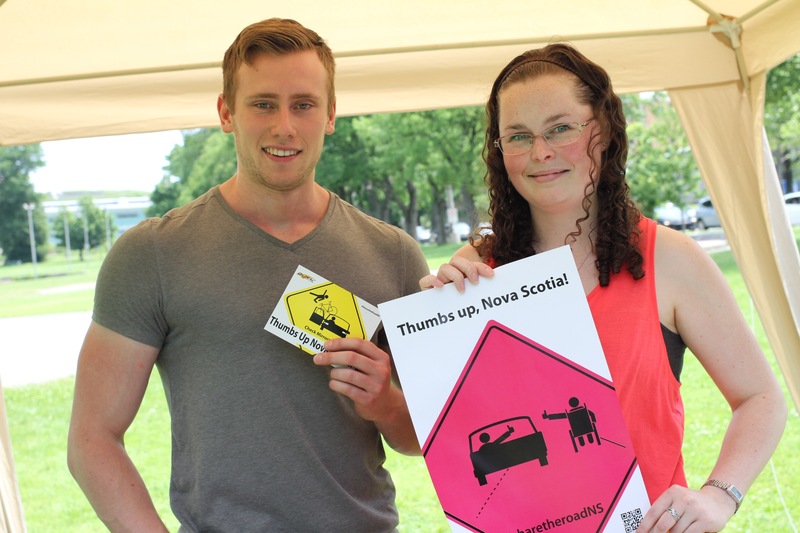 Stay informed and engaged with the Share the Road Nova Scotia movement through Facebook, Twitter, Youtube and Instagram!